This year, more than any other I can remember, I'm really aware of how my makeup routine is changing with the seasons. I've always known that I naturally tend to lighten everything up as the weather gets warmer, but I've really been aware of the differences this year. 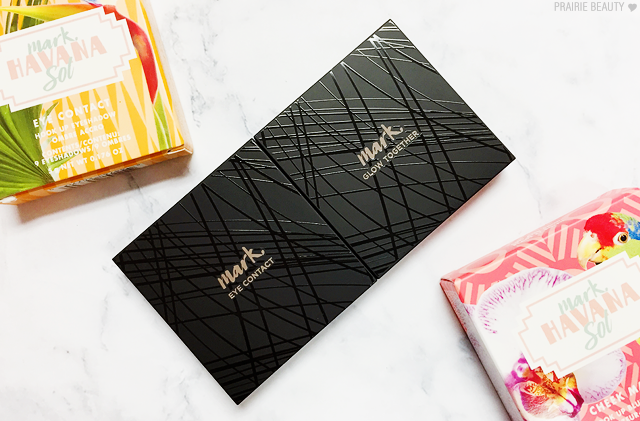 Recently, I've been testing out a couple of products from the new mark. 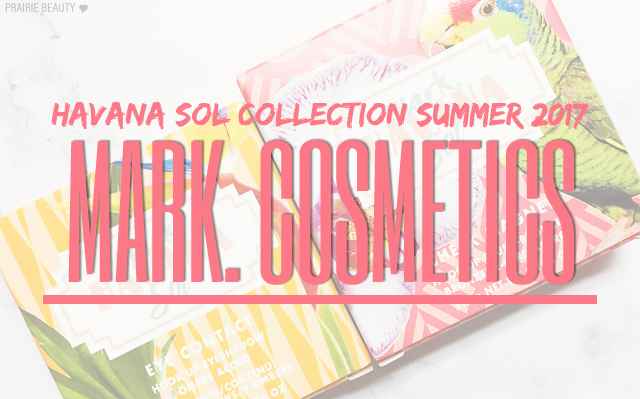 Havana Sol Makeup Collection for Summer 2017* and they're falling pretty well in line with the natural changes I gravitate towards in my routine. Can we, for a minute, just admire the packaging on these? 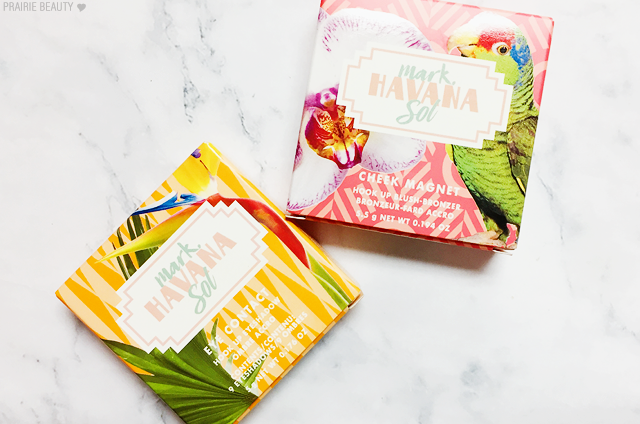 Everything about these boxes screams tropical summer vibes and really captures the Cuban theme. It also, in my opinion, gives a slightly higher end feel to the products, which I think Avon and mark. are really starting to grab onto recently. Love them! If you saw my review of the mark. Colour Collection products about a month ago, you'll be familiar with this format. These small palettes, which come in beautiful, modern packaging, are magnetized so that you can connect them to each other. This is particularly great, in my opinion, for travel because you can connect them together back to back and toss them easily in a travel bag for everything you need. 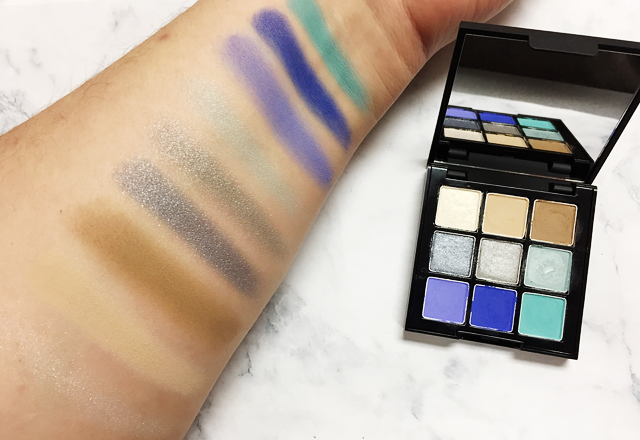 In a sea of warm palettes that have been taking over the makeup world in the past couple of years, I feel like this very cool toned, aquatic palette definitely stands out. The shade selection, in my opinion, is perfect for summer and can be mixed and matched to create both soft, neutral looks as well as punchy, bold looks. I think the curation of shades in this palette is very usable, while also being quite different from a lot of what's out there right now. The only thing I would change about the shade selection would be to include a deeper brown matte shade, because I think that would really make this palette a little bit more versatile. While I think blue eyeshadow can get a bad 80s rap, there are ways to do it in a modern, chic way and I think that the fact that the boldest shades in this palette are matte really keeps it out of that scary 80s territory. When I first saw this, the inclusion of mattes was the most exciting part, but the quality of the matte shades actually really impressed me too. The formula is really soft and smooth, with some shades being slightly creamier than others. For the most part, the pigmentation on the mattes is really, really beautiful and dense, though I'm not sure they're going to hold up in application to higher end brights. The only shade that is a bit of a let down for me is the blue shade on the bottom left of the palette, which I feel is somewhat less pigmented than the two power house shades to the right of it in the bottom row. Another thing that I love about this palette is that they included matte browbone and crease shades for my skintone, which makes this a really usable palette without need for any accompaniment. Like with other Avon shadows, I think that the shimmer shades do pack more punch when used wet, but can also be used dry for a lighter wash on the lid. Overall, I think this is a decent palette and I love that they really brought something different to the table with this shade selection and included mattes. When I first saw this, I was a little bit torn on whether or not I was going to like it because I noticed that there was visible shimmers in the bronzer and it looked like it might be a little bit too warm and deep for my skin, but I was determined to try it. 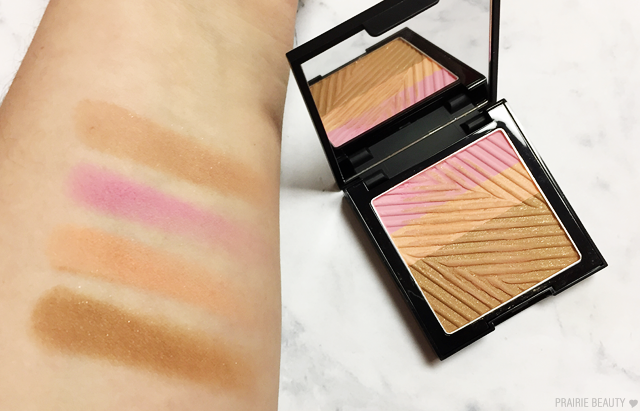 Both the bronzer and the peach blush shade contain shimmers while the pink is completely matte in finish. I really haven't noticed the shimmer showing up on the face when I use these products so I don't think that they really translate with a brush like they do in finger swatches, but if you're staunchly against micro shimmers in your face products, this might not be for you. When it comes to the formula of these, I'm really impressed. The powders are creamy and smooth and apply really well to the skin. I would recommend that if you're fair to light complected like me that you use a light hand when applying these, particularly the bronzer shade. Because the size of each of the blushes are quite small, it can be hard to get a brush in to target one or the other, so I would recommend just blending them together for a peachy pink flush. The pink is definitely the stronger shade, so if you don't lean a little bit more heavily into the peach it will definitely pull more cool pink. 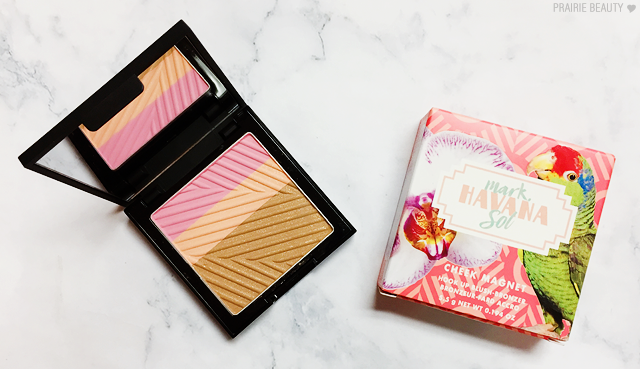 Another way I like to use these products is all blended together for a bronzey blush shade, which is something I absolutely love for the warmer months. Overall, I'm pretty impressed with both of these palettes. For me, the Sun And Sand palette is definitely the winner though. 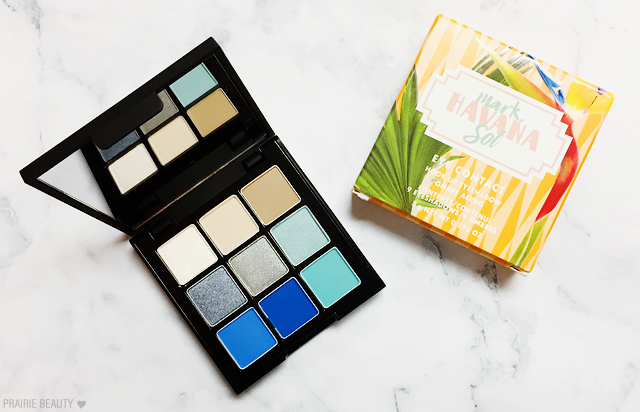 I think the formula of the powders is really solid, with a good balance of smooth texture and pigmentation, and the shades are perfect for summer and would suit a lot of skin tones. 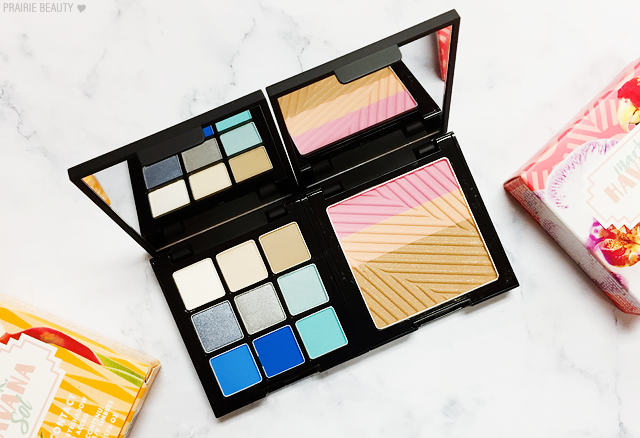 The By The Sea palette is really impressive for me specifically because of the cool tones and the impressive formula and inclusion of the matte shades. mark. products are available from your local Avon representative. For more information or to find a rep, check out Avon.ca!